A sweet homage to the visionary. 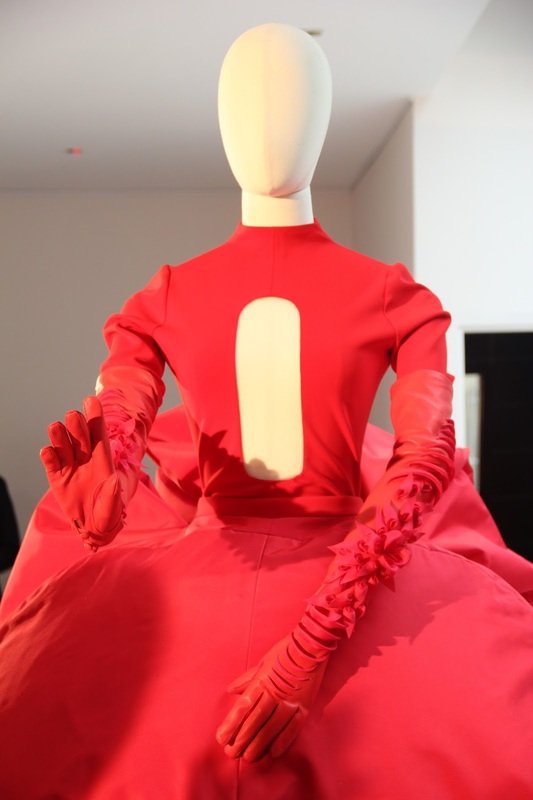 On April 24, 1970, on his 18th birthday, a young man came home from his school and got the news that the design portfolio sent by her mother got him job interview with Pierre Cardin, one of the fashion prominences of his era. 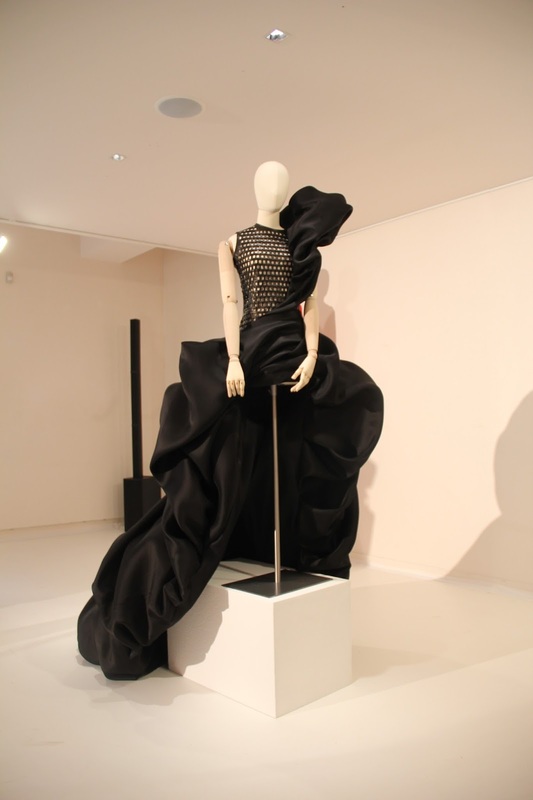 And after a brief, tense historical interview the days later, he got a job as Cardin's junior studio team to prepare a couture collection in July 1970. 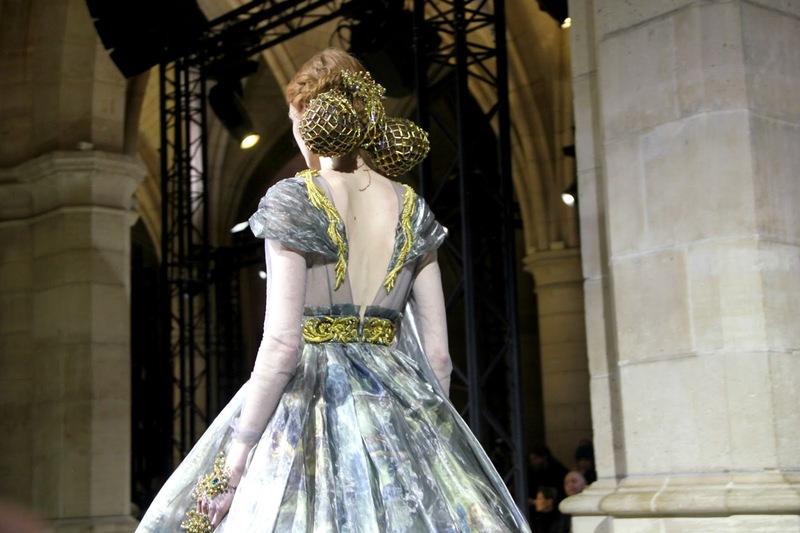 His name was Jean Paul Gaultier. 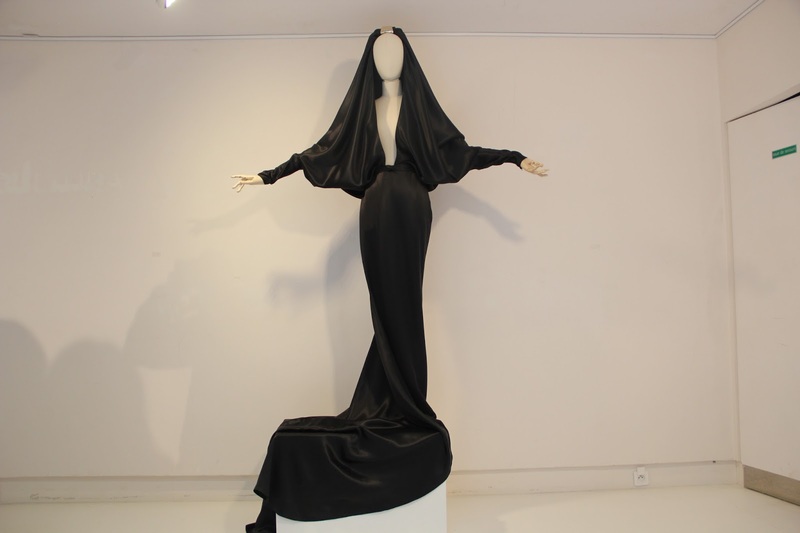 And nearly 48 years later, Jean Paul Gaultier dedicated his own collection to his first boss on the stage of haute couture: Monsieur Pierre Cardin. 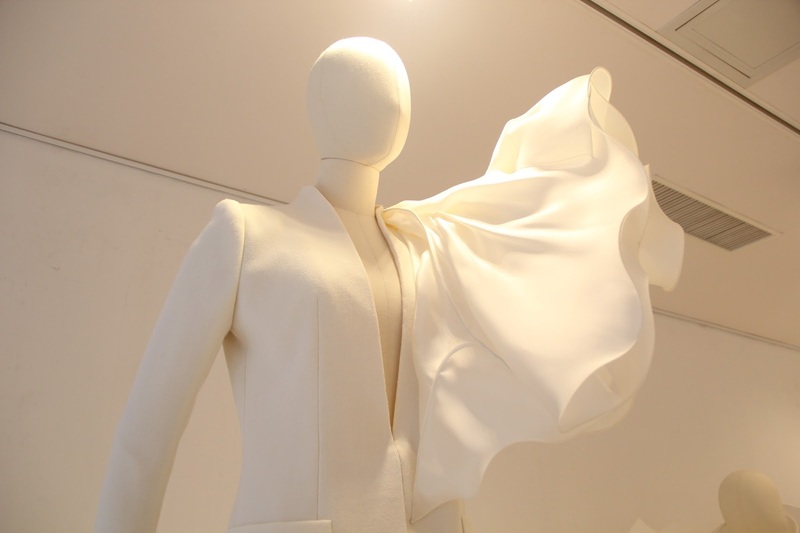 Pierre Cardin is the legendary figure of the fashion world. 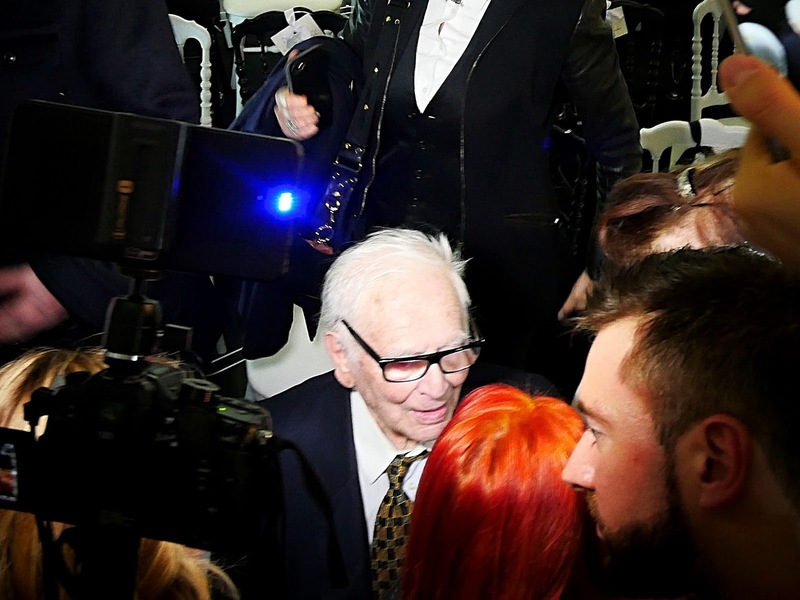 As the world's oldest couturier (albeit inactive), the 95-year-old Pierre Cardin sit in the front row to watch the haute couture performance of one of his protégés. 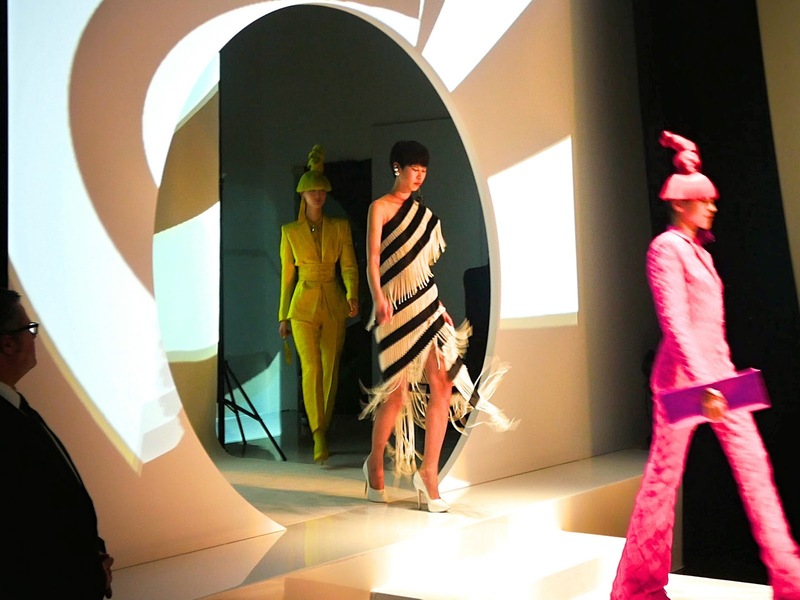 Staged in front of a series of alternating light panels that remind many of the Cardin era from early Futurism to Pop Star styles and bold 1960s psychedelic graphics, this collection was opened by some holographic dresses with black and white whirl followed by an extraordinary tuxedo with leather tassels. 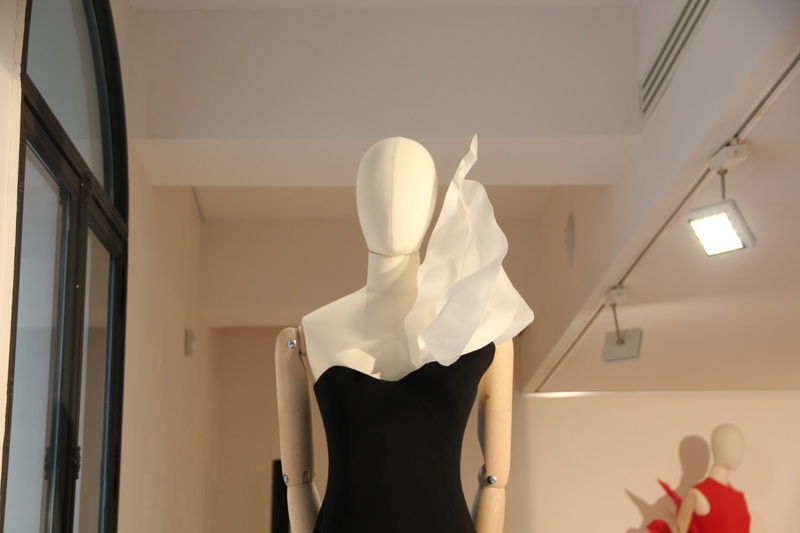 Meanwhile, Space Age moments of Pierre Cardin's creations are hinted at by extraterrestrial hairstyles - hair bobs cut with origami precision - and some jackets with stiffness like superheroes. He also threw some of his own classic pieces, especially the trench-coat dress with the leg-o-mutton arm that received an instant ovation. 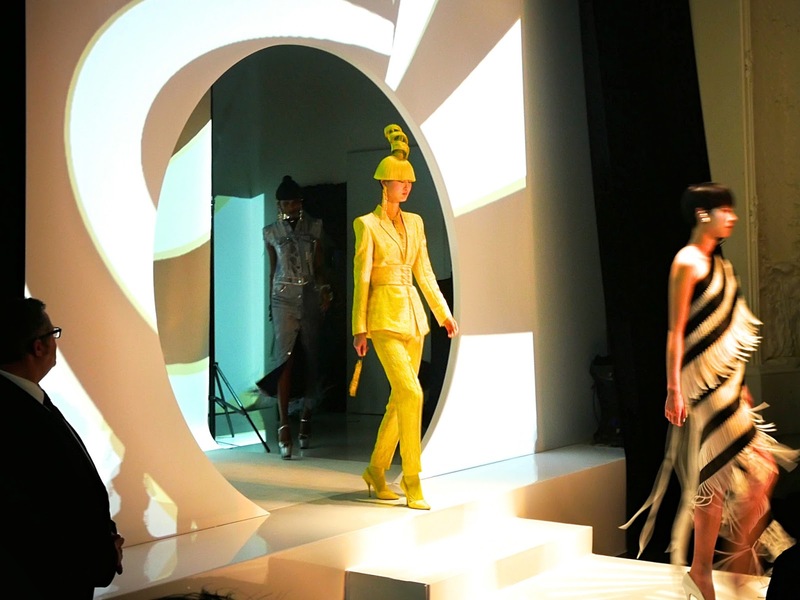 Gaultier even brought Cardin's inspired influence from the east - Pierre was the first western designer to sell his jeans in Russia and the first designer to have a restaurant brand, Maxim ', which opened in Beijing. The result: a mono-colored waffle jacquard jersey that resembles the empress of the modern Ming dynasty. 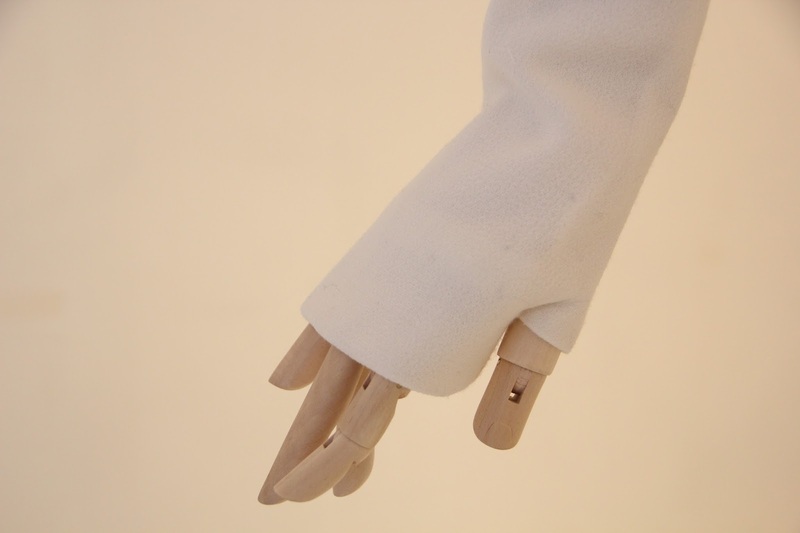 "My first job in the fashion world was with Pierre Cardin. Of course he is actually Italian, the real name is Pietro Cardini from the Venetian-born family. I started working in his studio on my 18th birthday. You can imagine. 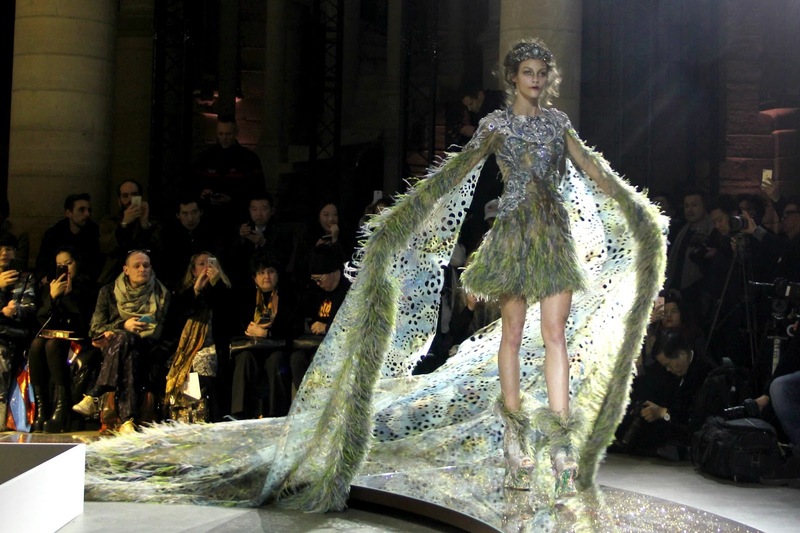 It has been a long time,” said Jean Paul Gaultier who is now 65 years old. 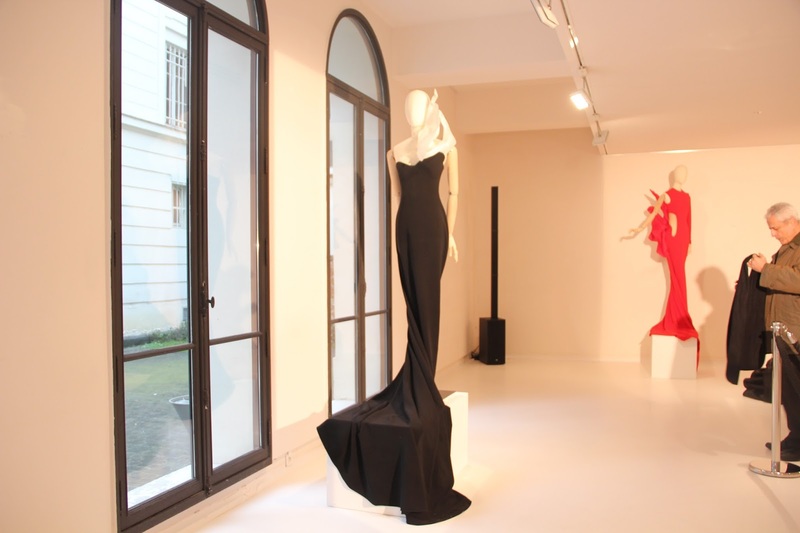 "Pierre Cardin is a miracle, and I feel it is right to pay homage to the designer who has opened so many doors to all of us. Imagine the freedom and creativity he strived for! 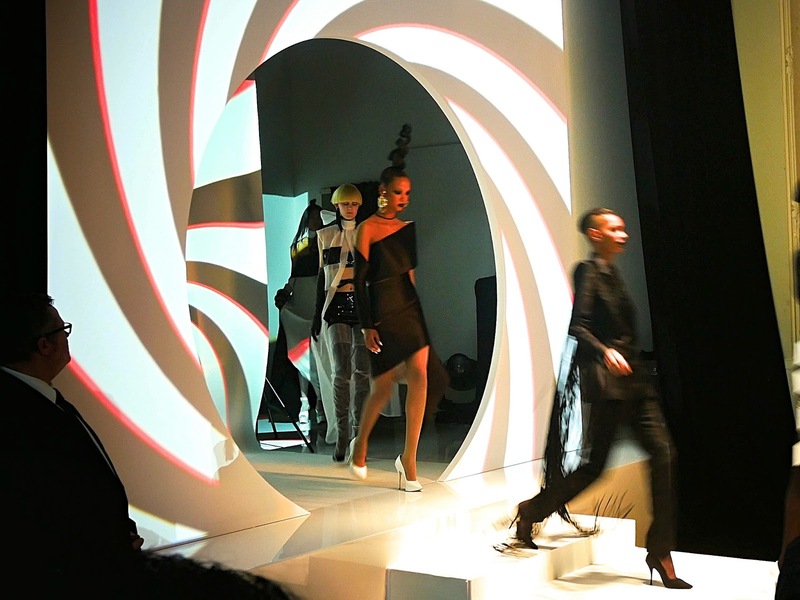 Without a large organization, Pierre Cardin has changed the history of fashion," shared Jean-Paul Gaultier behind the crowded stage, where other renowned designer, Nicholas Ghesquière Louis Vuitton, Oscar-winning actress Marion Cotillard and Indonesian-born musician Anggun C. Sasmi joined in a photo session with paparazzi. 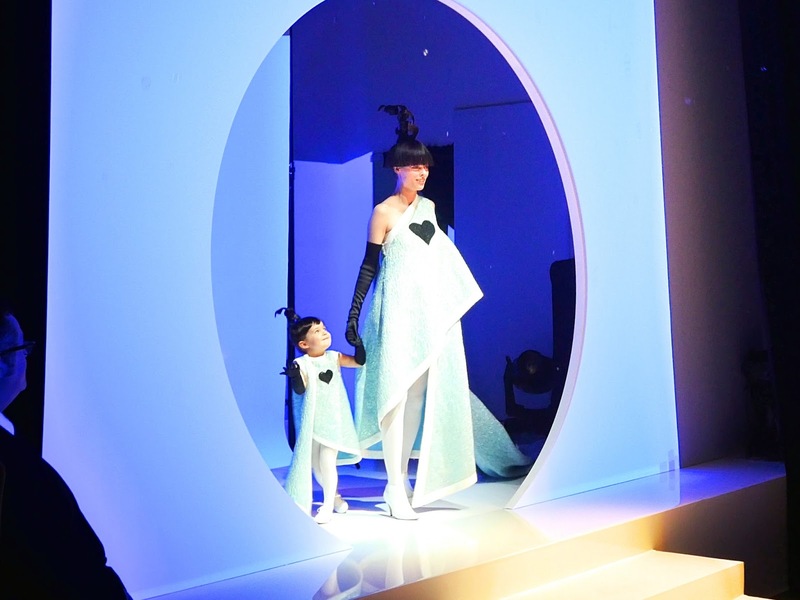 Jean Paul Gaultier was one of The Show Men in the haute couture arena, and as one of the finales, he made a sky-blue dress with asymmetrical construction, worn by Coco Rocha, as well as a mini version worn by her toddler daughter, Ioni Conran. 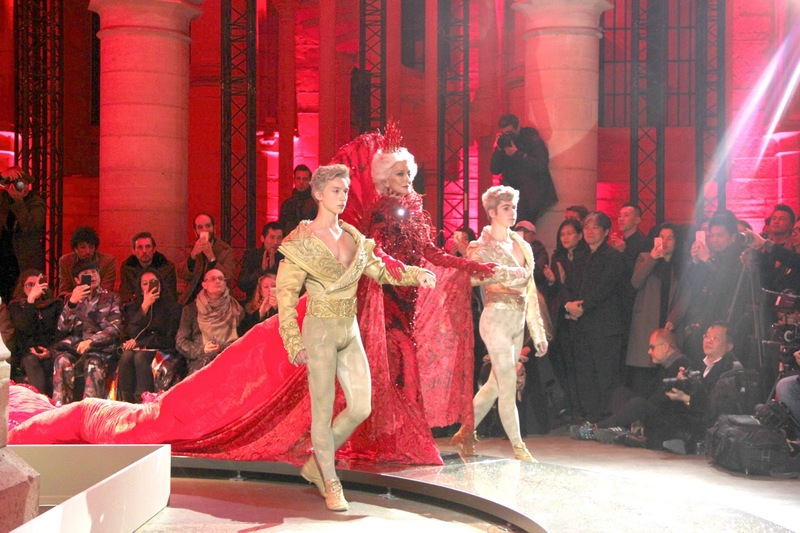 Together, they paraded Gaultier's clothing by dancing and running along the runway, accompanied by a thundering applause. 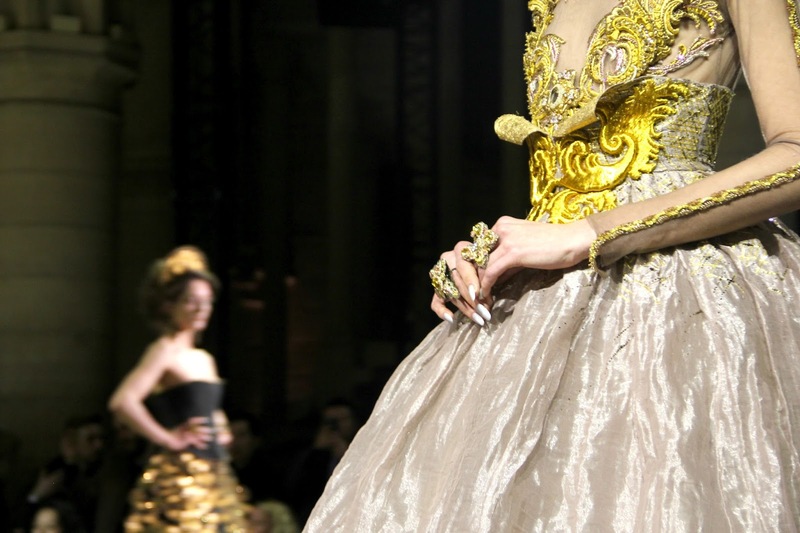 Jean Paul Gaultier is one of the few grand couturiers who are born, educated and trained in France. One day, it is very likely that he will become a legend himself, like the man whom he respects with this collection. 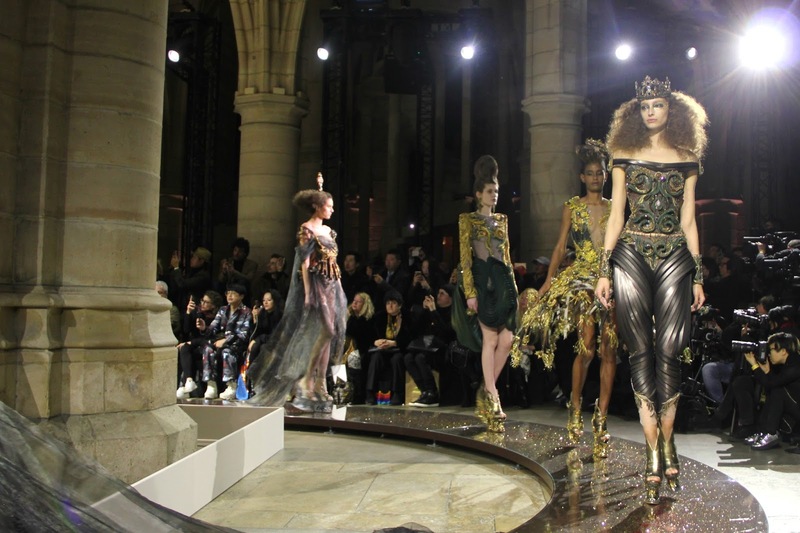 Fashion show in Paris is not only held in a large building complete with a runway and little chairs for the guests. Some designers choose to hold a presentation rather than a show. 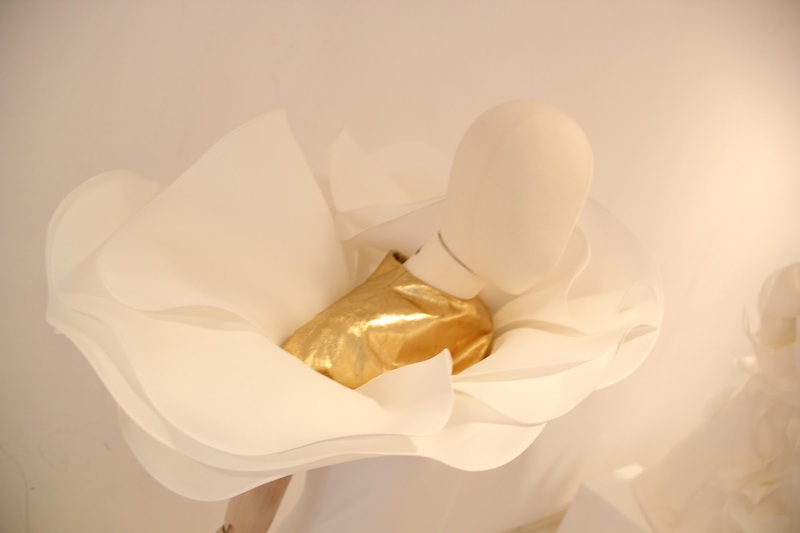 The plus, the invited guests will have more freedom and more time observing the work of the designer. 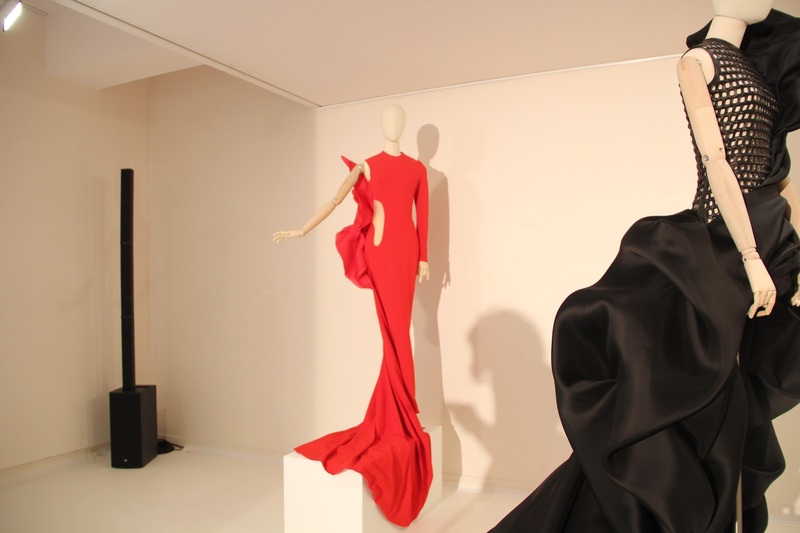 Stephane Rolland is consistently being one who chooses to hold a presentation with more intimate atmosphere that is. 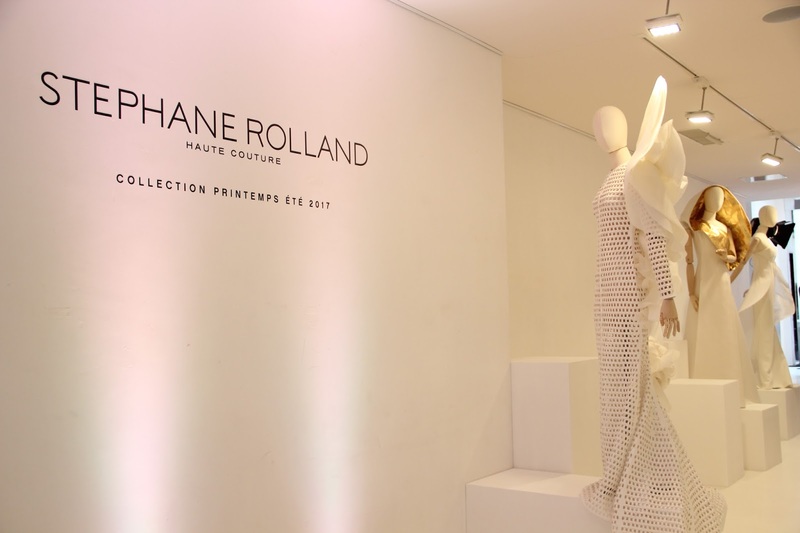 Inspired by many of these artists from various eras, ranging from Michelangelo, Rodin, until Brancusi, Stephane Rolland created evening gowns with undulating, luxurious silhouettes. Mr. Rolland told me that he greatly admires works of art, and had long wanted to show his work in an art gallery. 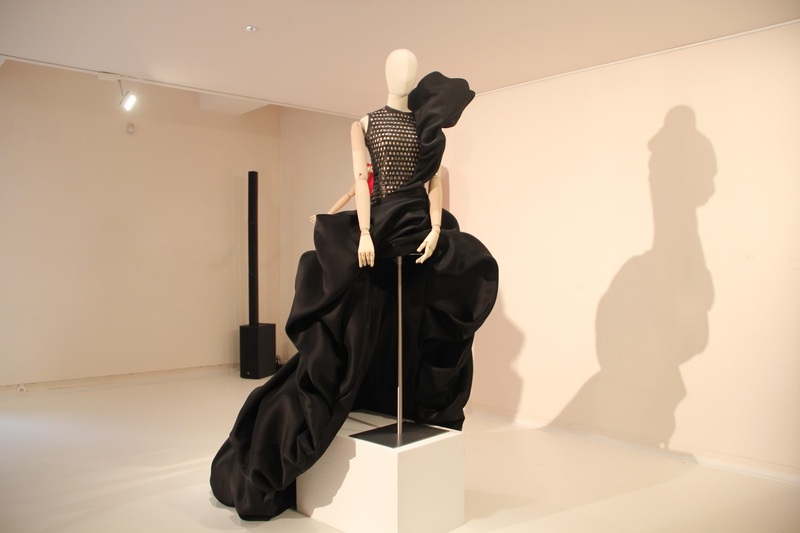 Dresses he created for this season did look like sculptures in an exhibition. 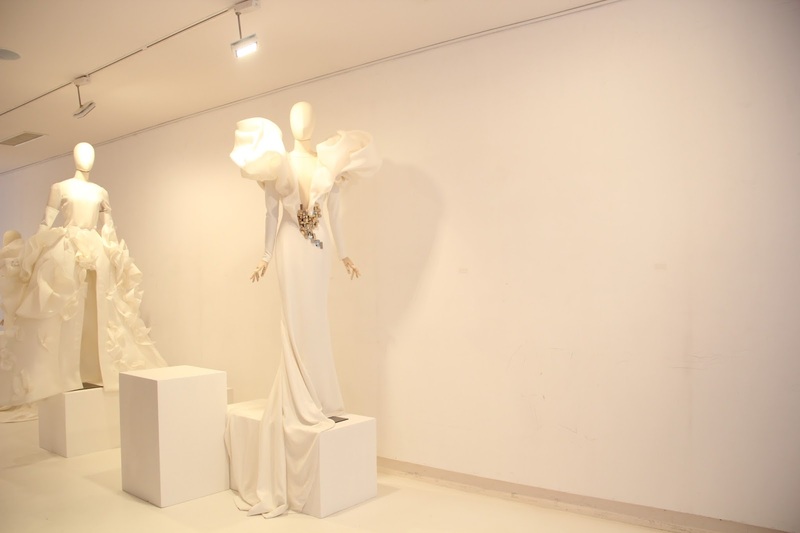 No wonder when the Romanian sculptor, Constantin Brâncuşi, greatly influenced his works, such as a Coupole skirt inspired by the sculpture Pasarea în văzduh (Bird in Space), the controversial Brancusi work which was sold for $US 27.5 million in 2005. 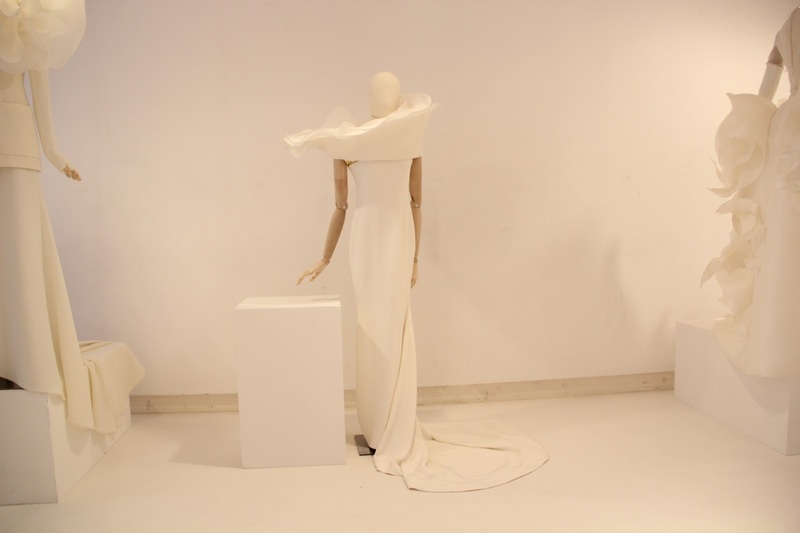 A white dress made of wool crêpe resembled the renown Carrara marble has a construction like an eclipse. 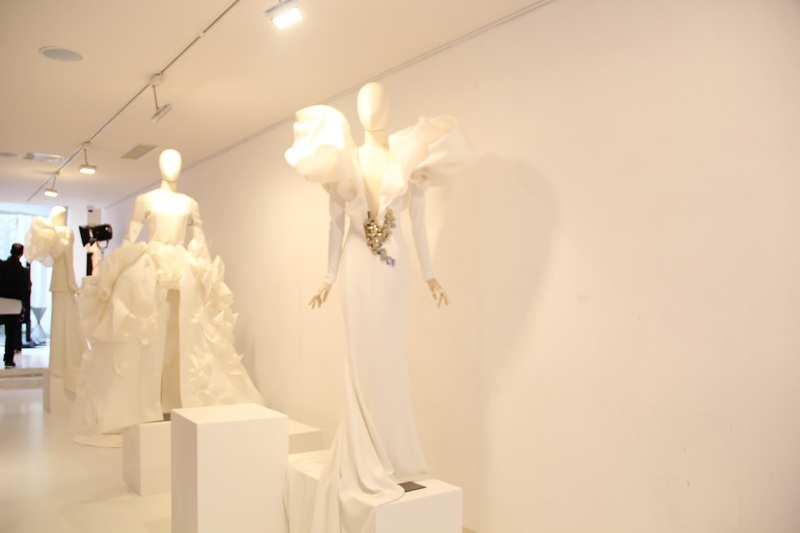 Some looks were deliberately asymmetrical, and dresses made of silk faille and Gazar, blush tulle on the shoulders of a white suit, a dress strictly made of woven leather decorated with crystals on each cross-bred, as well as a long dress in black with a hood welcome the guests with striking effect like a living sculpture upon entering the gallery. 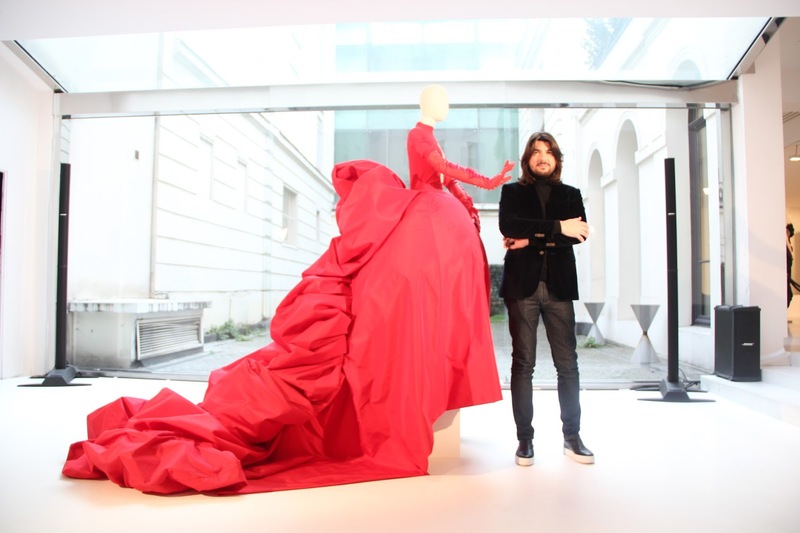 In the middle, a red dress with a monumental Voctorian S silhouette. It ws nothing but a grand middlepunkt for this collection. 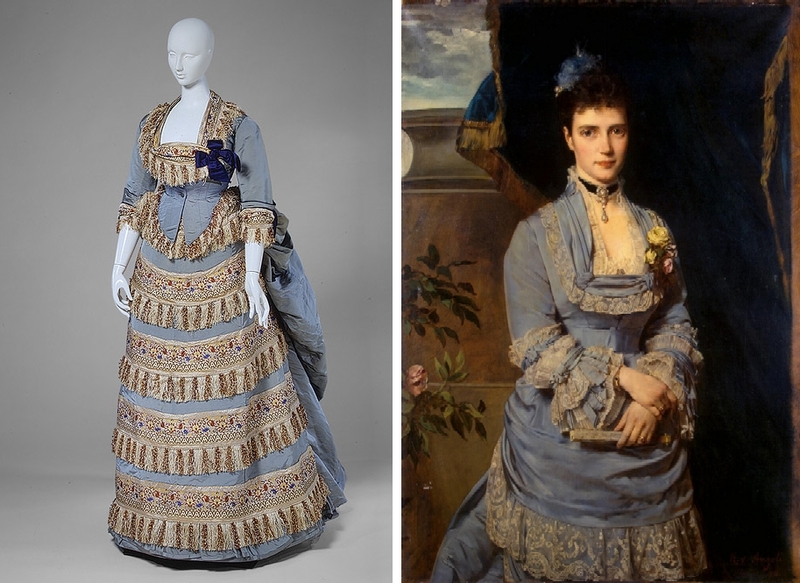 The dresses are indeed more grand ball/awards appropriate than a dinner party, but few things are sure. People will pay attention - and step aside to give a way. Update: Read the review on CNN Indonesia. It was an apricity in the midst of wintery Paris. 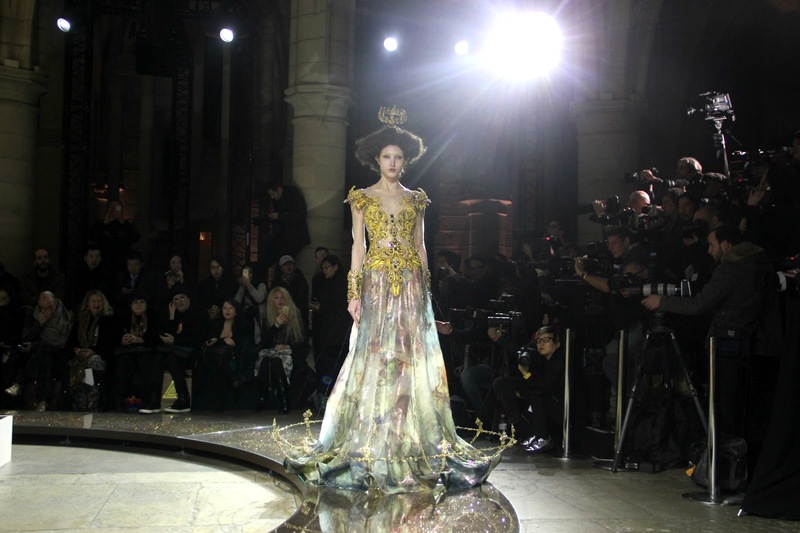 Guo Pei presented her collection entitled 'Legend' located at La Conciergerie, where Marie Antoinette had been imprisoned before she was beheaded in 1793. 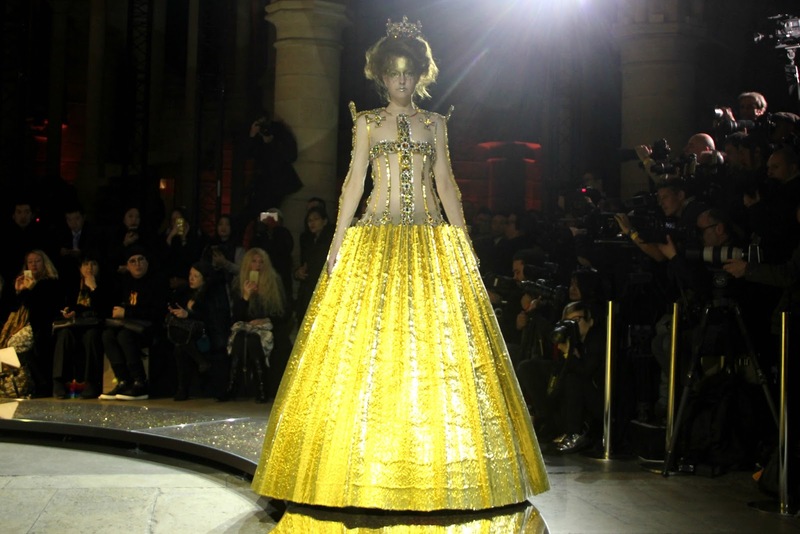 She opened this show with a fluorescent dress called 'The Revenant' that lights up in the darkness depicting the Queen's spirit. 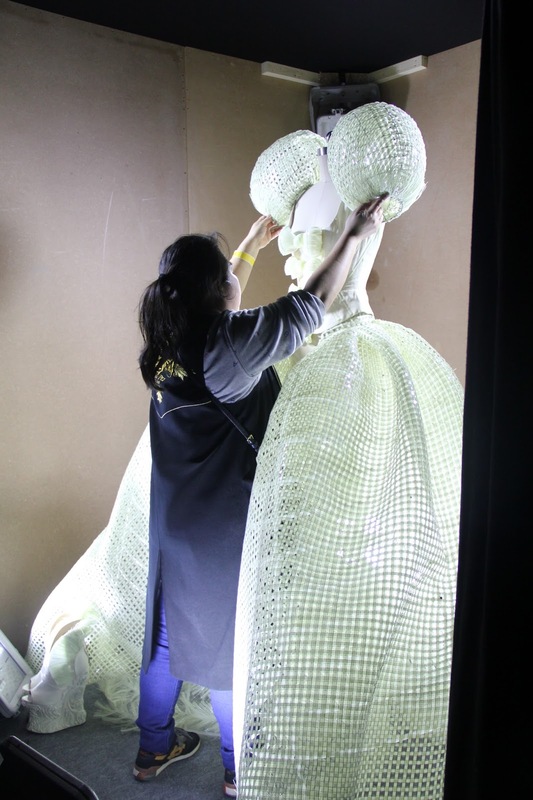 This dress was very difficult to photograph, but what followed after the lights back on, was a show of blinding creativity. 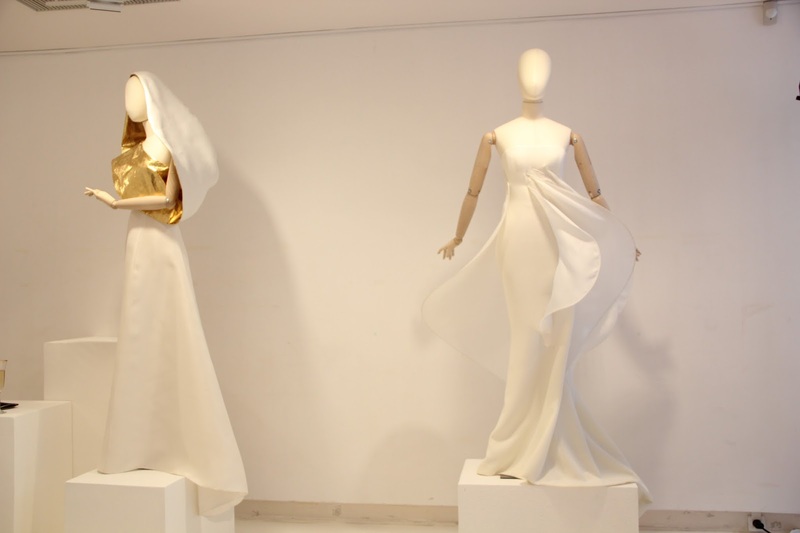 The collection this time is a result of a collaboration with the Swiss textile developer, Jakob Schlaepfer, which produces metal-shiny fabrics that shine depicting the sun. 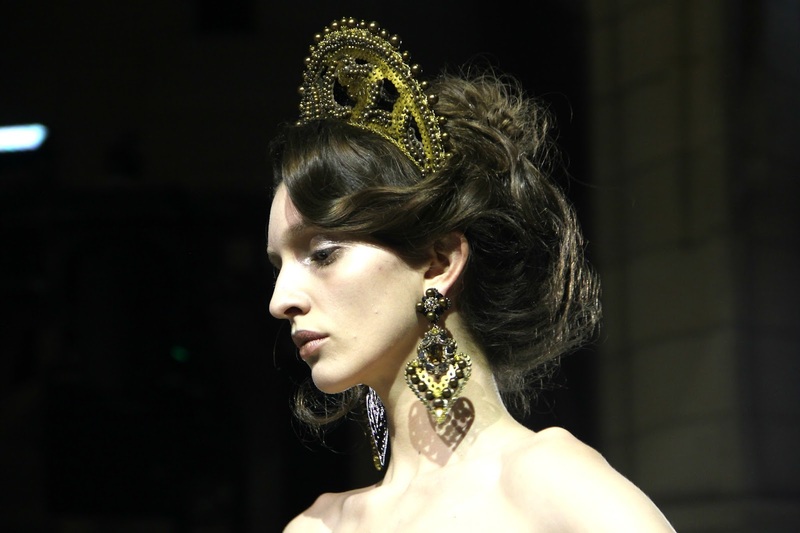 Long, luxuriously decorated gowns with gold and silver colors, and glorious stone accessories dotted with typical medieval crowns and crystal ball and pendant swings graced the catwalk, and extremely small metal ornaments demonstrate diverse materials, classic silhouettes, and royal colors that subtly carry legendary messages. 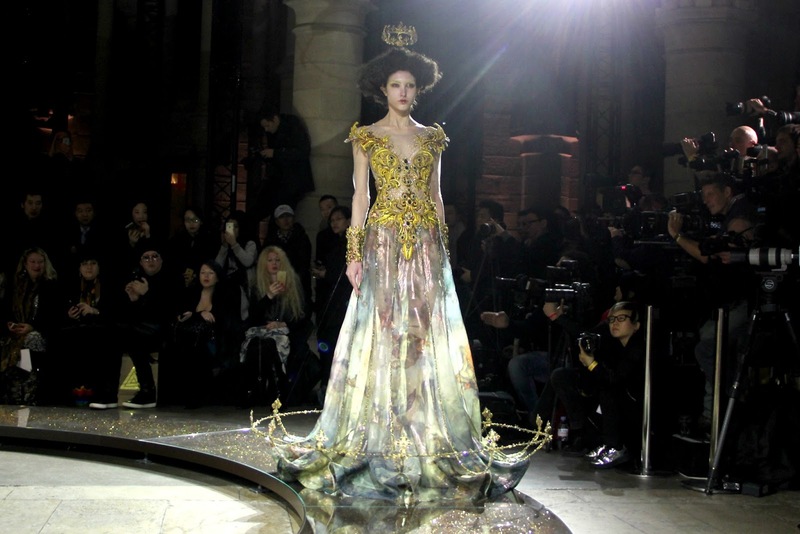 Guo Pei gained inspiration for this collection after her meeting with leading textile developer Jakob Schlaepfer in St. Gallen, Switzerland. 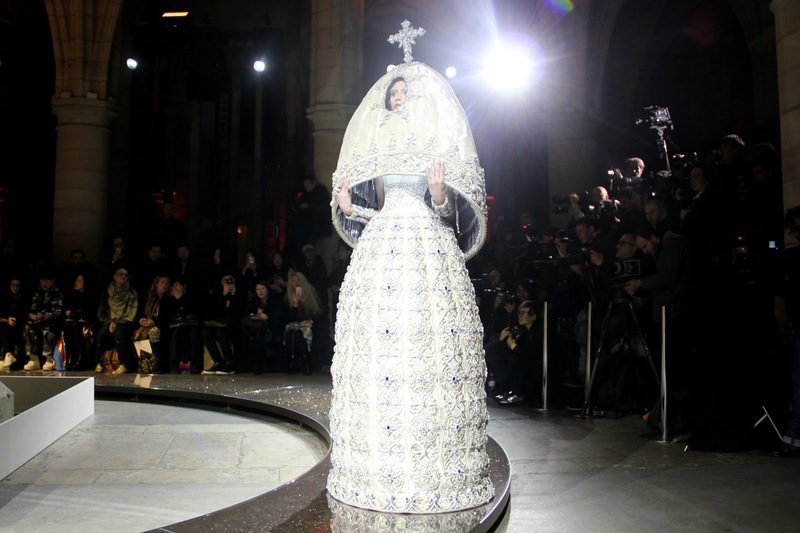 Together with Martin Leuthold, the art director, for two years they developed a metal-like material used by Guo Pei in various ways. 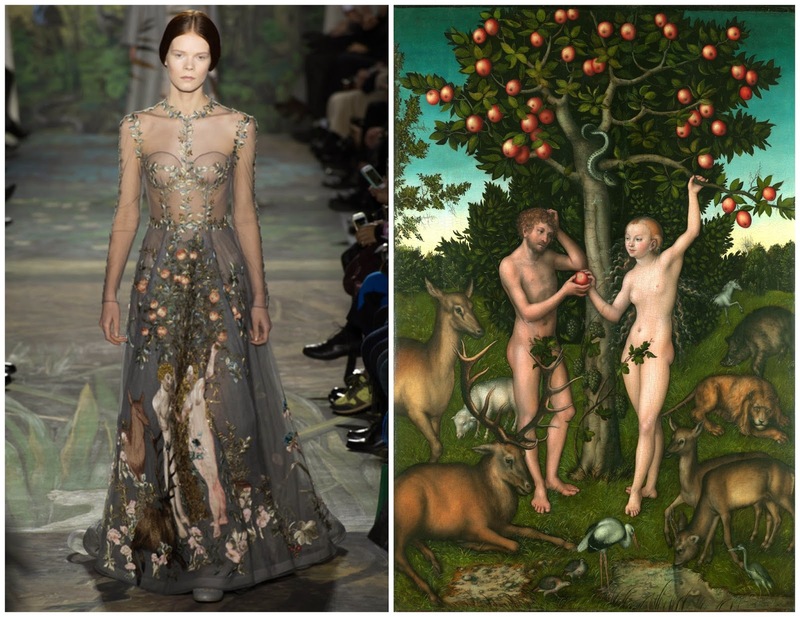 The local city church was also an inspiration, with the appearance of the pictures emblazoned inside the cathedral as a motif in one of her looks. 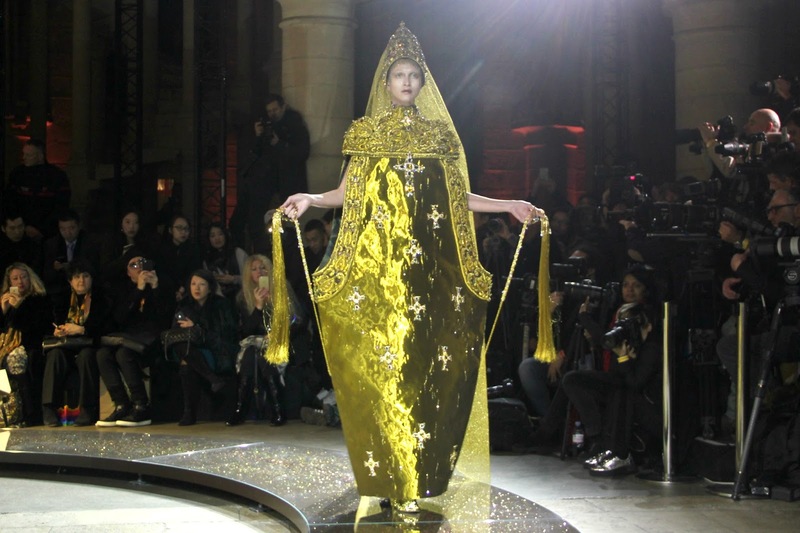 Portraits of bishops, priests, and relics that fill the Roccoco-styled cathedral are reflected through prints lined with 3-dimensional sequins, gold-colored makeup, and regalia accessories such as thuribulum, incense, and crown. 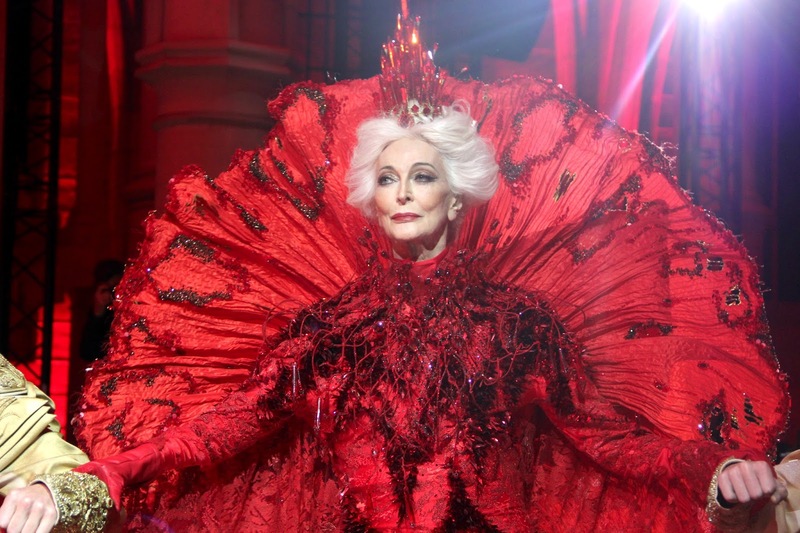 "Loyalty, to me, is the greatest strength in exploring and creating something, like the sun, which is constantly burning, and this is my passion in creating couture, continuous, faithful, and someday becoming a legend on its own,” she explained after the show. 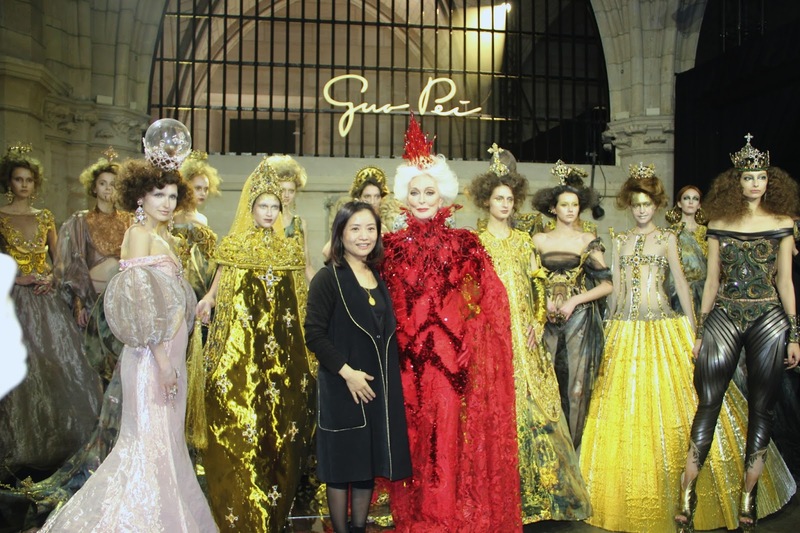 “She has the soul of a queen, a knight, and she is the model's queen," Guo Pei explained when asked why she chose Carmen. 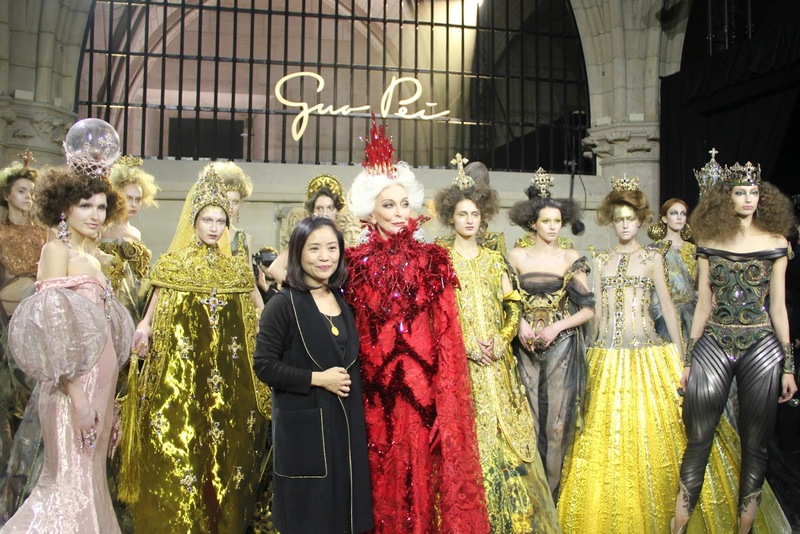 At the end of the interview, Guo Pei said she dedicates her latest couture collection, to Paris. 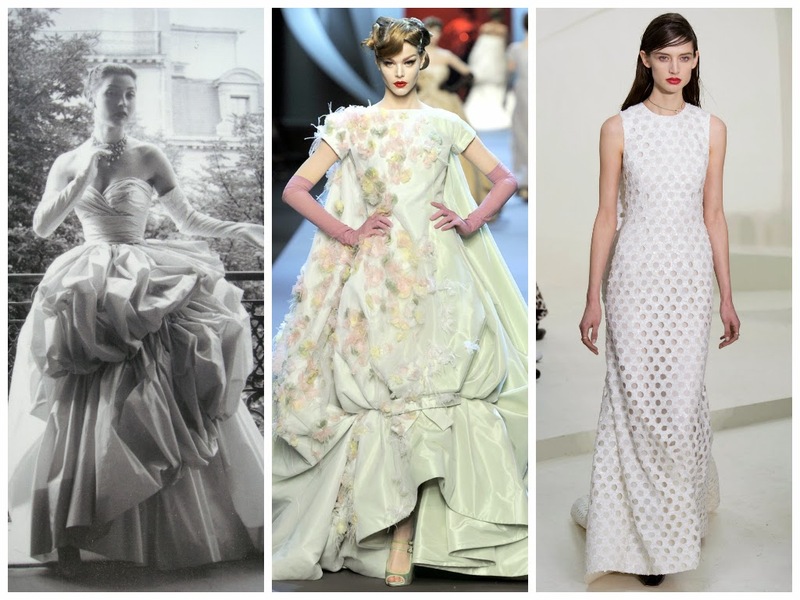 "I hope this show can continue the couture spirit that will be remembered all the time," she said.